The Broadcasting Authority has officially announced it will commence an independent investigation into an episode of the current affairs programme which defamed Fr Kevin Reynolds. THE BROADCASTING Authority of Ireland’s compliance committee says that it has decided to proceed with an investigation into an episode of Prime Time Investigates in which a Catholic priest was defamed. The programme, A Mission to Prey, had incorrectly claimed that Fr Kevin Reynolds had fathered a child with a teenage girl while working as a missionary in Africa. The priest launched legal action which led to RTÉ issuing a public apology and paying undisclosed damages to Reynolds. The incident also sparked two inquiries into the allegations – one within RTÉ and the other by the BAI. The BAI says its investigation will focus on whether the programme breached the Broadcasting Act 2009 as regards a broadcaster’s duty to ensure the fair, objective and impartial treatment of current affairs content. It will also investigate if the programme breached the act’s provisions concerning the privacy of any individual, which the law says should not be “unreasonably encroached upon”. It has transpired that the BAI has already looked into this programme after an unnamed man launched a complaint about the programme. The man complained that while he had been interviewed for the programme, his interview was not used in the A Mission to Pray episode. Instead, a short clip of his piece was aired on RTÉ’s The Frontline on the same night. “There was a wide range of significant viewpoints included and the persons against whom allegations were made were afforded a right of reply,” it continued. 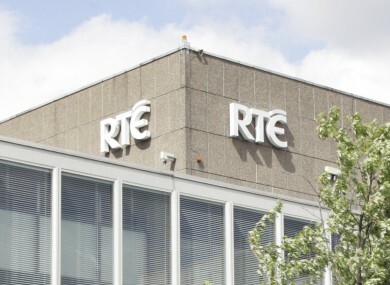 Minister for Communications Pat Rabbitte last week announced an independent inquiry into how RTÉ broadcast the claims against Reynolds and noted that the BAI is the independent regulator of the compliance of broadcast content. The BAI says the next step in its inquiry is to appoint an investigating officer. A timeline of the investigation is expected to be announced after that officer has been named. Email “BAI launches inquiry into defamatory Prime Time Investigates programme”. Feedback on “BAI launches inquiry into defamatory Prime Time Investigates programme”.